There’s a federal holiday on Monday. Labor Day. What does that mean to you? Ticker-tape parade? End of the summer and back to school? Time to stow away the white patent leathers and bring out the black shoes? Last long weekend on the beach or best chance to get a cheap mattress? Of course we had to check Labor Day out...and what a treasure we found! The origins of Labor Day go back to the end of the 19th century. The Industrial Revolution had replaced agriculture with manufacturing around most of the country (although, not so much in the South at this point). Factory workers were granted steady employment, but all too often by compromising fair pay and acceptable working conditions. At the height of the Industrial Revolution in the 1880s, the average American worked twelve hour days, seven days a week to barely make ends meet. When complaints were lodged, they fell mostly on deaf ears. Children, immigrants, and other especially vulnerable groups worked for next to nothing in factories, mills, and mines where conditions were dangerous and dismal. Across the country, worker’s unions became more and more common as laborers tried to gain leverage in a fight for their voice to be heard. They rallied and went on strikes, most not ending peacefully. The first Labor Day ‘parade’ was held on September 5, 1882 as 10,000 workers marched from City Hall to Union Square in a rally for an eight hour work day. Two years later, the Central Labor Union declared the first Monday in September as the ‘Working Man’s Holiday.’ Oregon was the first state to officially recognize the holiday, but it took another ten years and a political disaster for Labor Day to be recognized by the federal government. In 1894, Pullman’s business dropped, so he cut jobs, hours, and wages--but not the cost of rent or goods. 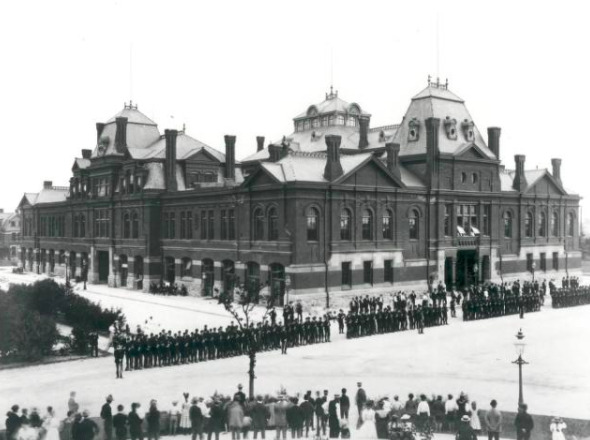 Workers in Pullman’s Palace Car Company went on strike; six weeks later a full boycott was declared by the American Railroad Union and a violent upheaval followed. President Grover Cleveland sent in federal troops in an unsuccessful bid to break the strike, resulting in riots that killed or maimed dozens of workers. In an effort to repair ties with the American worker and to conciliate organized labor, President Cleveland and Congress designated Labor Day as a federal holiday six days after the strike ended. Pullman himself died three years later. 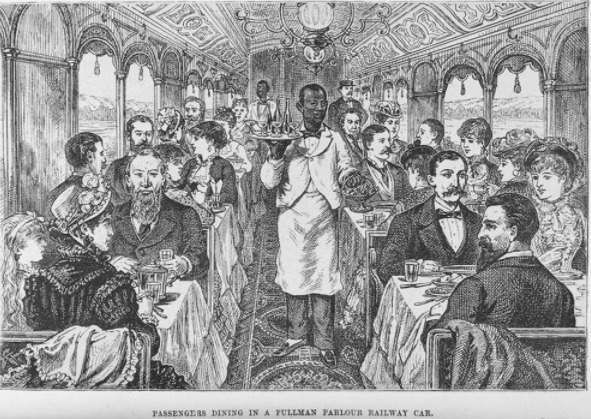 The Pullman Strike initiated a pivotal turn in the worker’s rights movement, but Pullman’s legacy goes beyond that and even his famous rail cars. The idea of a company town was not new in Europe, but Pullman’s was the nation’s first planned industrial town and some would argue that it was one of the most successful in the world. 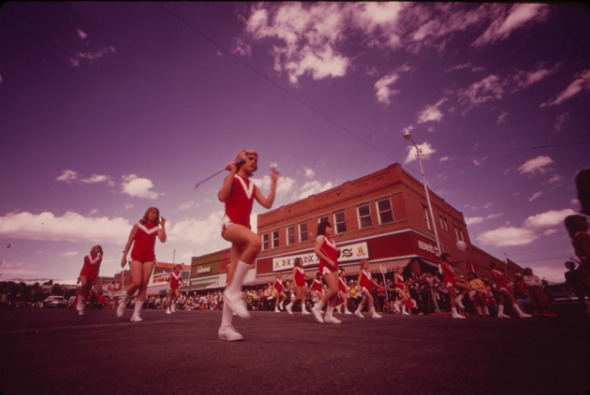 The first permanent residents moved in in 1881 and the Original Town of Pullman was completed in 1884. The homes were uncommonly well built and had much higher standards than workers could find elsewhere--all houses and apartments had toilets, indoor plumbing, and private yards. Housing types varied both between and within blocks and continuity was maintained by repetition of details, similarity of proportions, and setbacks from the street. Architectural differences varies according to streetscape and reflected varying housing needs according to income, status, and family makeup. They can be seen in the level of ornamentation of rooflines, chimneys, and materials. Pullman was designed as a suburban park with lakes and extensive landscaping, unheard of at the time for a worker’s community. While the beautiful landscaping has long since been lost, what makes Pullman remarkable today is that nearly all of the housing in the residential area is still standing and for the most part unchanged. Today, great efforts are being made to preserve and restore this amazing little community. For instance, the Pullman Facade Legacy Project is compiling architectural drawings of each of the residences in South Pullman and offers assistance to homeowners for restoration. Of the 616 single- and multifamily units original to South Pullman, 613 are still standing. Among them, there are 107 different facade types, 27 door styles, 23 window styles, and 16 porch styles. How interesting is that?! 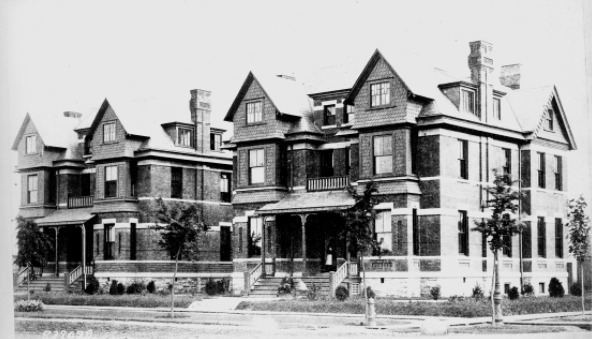 At the center of the historic Pullman community, the Pullman State Historic Site uses historic structures and public programs to showcase 19th and 20th century industrial society as well as the varied influences of Pullman on transportation, industrial design, architecture, labor, urban and town planning, and landscape design. The Illinois Historic Preservation Agency is administering the site's transformation during a multi-phased stabilization and restoration effort. In addition, the National Trust for Historic Preservation has issued a plea to have Chicago’s Pullman Historic District recognized by the National Park Service and included as an official unit of the National Park System.